Just over one year on from divesting of its managed services and systems division to Calligo Cloud, Fusion Systems is seeing the results of its focus exclusively on its fintech software activities with growing revenues from an increasingly diverse base of clients. Managing Director Alan Rowe provides an overview of the past year. CRS & FATCA Tax reporting has been driving a lot of the international growth of the company in the past year and concurrently we continue to make good progress with our core Flyingboat Wealth Management Software. Investing in continually improving our products is key and a number of development initiatives have come to fruition in the year including entity grouping charts and the entity flash card both of which bring visualasation of data to the software and putting relevant data in an easily understandable visual form in front of users without having to go looking for it making management far more effective. Other initiatives include functions for managing GDPR compliance and in particular aspects of the right to be forgotten and the need to remove certain data when there is no longer legal purpose to retain it. We will continue to update and extend the product and we have much more in the pipeline to continue to extend its already comprehensive capabilities. CRS and FATCA reporting still remains a challenge to financial institutions not just in the Channel Islands but around the world. In addition to a growing number of clients using the installed version of our software or the on-line bureau service, we have been helping new clients with the preparation of correction and resubmission files that Tax Authorities have requested from them. This arises from both inadvertant errors in the data submitted and also where interpretation of guidance notes has led to incorrect reporting which Tax Authorities have picked up on and requested corrections. The correction process is technically complicated and we have brought to bear our skills and experience to help clients whose original providers could not. Some businesses have struggled with software from vendors that cannot properly cope with differences to schema imposed by the various jurisdictions. Our mechanism for managing this in the software is quick and unintrusive when such differences are discovered. Clients using other vendors software have often had to rely on manually editing incompatible XML or waiting nervously to see if a promised new release will both fix the problem and be delivered in time. Supporting business as usual reporting is what has been designed into our software to allow businesses to move from a tactical solution to a strategic enterprise wide solution. Its not so surprising that we are seeing a second wave of enquiry activity as financial institutions are reviewing their original tactical software deployments and are looking for more efficient, robust and easy to use solutions. We already have a number of multi jurisdiction clients who have centralised their reporting through a single instance of the software and this is a trend we expect to continue. In the last year we have also appointed a partner to represent our software in Switzerland. Geneva based Amexsys approached us as they saw the opportunity in the market and had first hand experience of the deficiencies in some other solutions. From my perspective local representation perfectly compliments the international reach of Internet based marketing that has been part of Fusion's strategy. We are actively in discussions with other partners and look forward to making more announcements in the future. As well as building on the capabilities of the software and we also have completely revamped the website to accommodate and better represent the growing product and service portfolio. 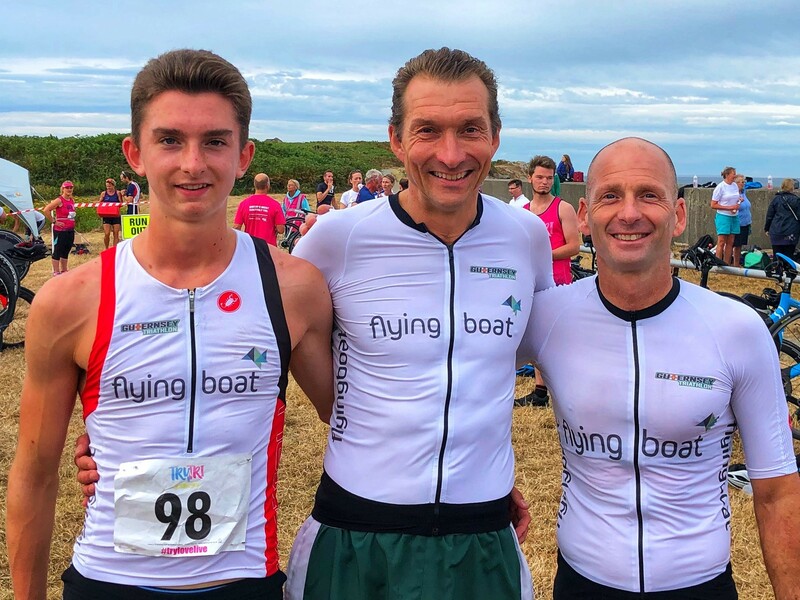 Products like our Jersey Beneficial Ownership filing utility now have prominence in its own right and as a number of these supporting tools continue to grow so they can enjoy their own visibility and profile. Inside the business there has been a lot to do as well, - we implemented a new support ticketing system (ZenDesk), dealt with GDPR both for our business and by adding supporting functionality into our products, we have streamlined and improved business process and rationalised our own IT infrastructure all of which would not have been possible without the support of a great team. I am blessed to be surrounded by outstanding individuals and we all believe in the value of delivering traditional customer service where you can know the people you deal with and not be a corporation hiding support behind a faceless ticketing platform. We have just appointed Kim Miller as a software support consultant with a particular expertise in trust and company accounting. Kim will compliment and extend the team’s existing capabilities and focus on helping clients be the most effective with their use of our software as well as contributing to the product improvement programme with the benefit of her industry experience. We also found some time for some fun both in and out of the office with some socials and other activities. So its not surprising that more than a year has passed already as we've achieved a lot in that time. I'm thoroughly excited for the future and all that it will bring. For more information, contact Alan Rowe, Managing Director via our contact page. 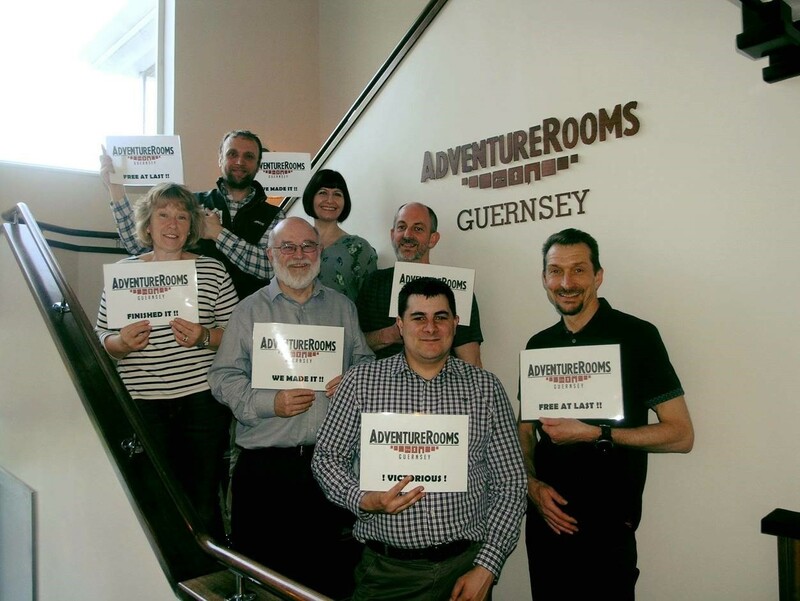 Social evening at the Guernsey Adventure Rooms - we escaped in time!